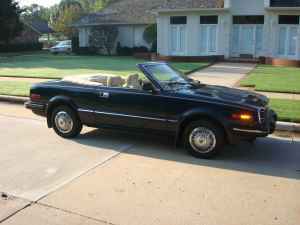 Back in 1981 Solaire turned 50 or so Honda Preludes into convertibles. The style of the first generation Prelude has not aged well, but this car looks much better (at least with the top down) than the standard hardtop Prelude ever did. From the side the Prelude's slab side and body molding gives it a bit of a Chrysler K car look, but from every other angle it looks great. These were sold through Honda dealerships with a full factory warranty. The seller of this one is the original owner. He purchased it in March 1982. 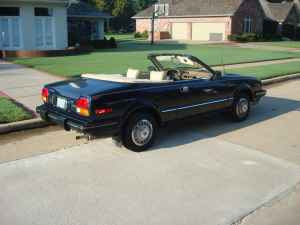 This car has 102,000 miles on it and appears to be in very, very nice condition. The seller says it has always been garaged. The top is said to be in very good condition. I've never seen one of these in person, but I have to assume that the conversion was done well in order for Honda to give it its blessings. 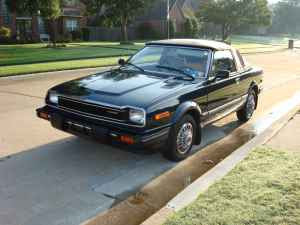 Unless you're a Honda freak, a first generation Prelude with an automatic transmission isn't worth a second glance. This car, however, is so rare and unusual that I found myself thinking that it would be a cool car to own. The asking price for this Honda is $5200.00. That's a lot of money for an old Prelude, but when you look at the condition of this car and, most importantly, figure in the "exclusivity" factor, the price starts to look fairly realistic. 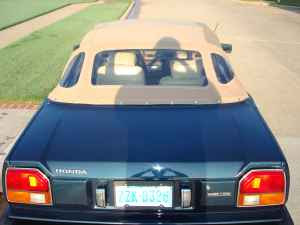 Located in Broken Arrow, OK, click here to see the Craigslist ad. A big thanks for JaCG reader, Michael, for sending me the link to this car. Looks like it is now posted. ot doing well with a BIN lower than the craisglist posted price.